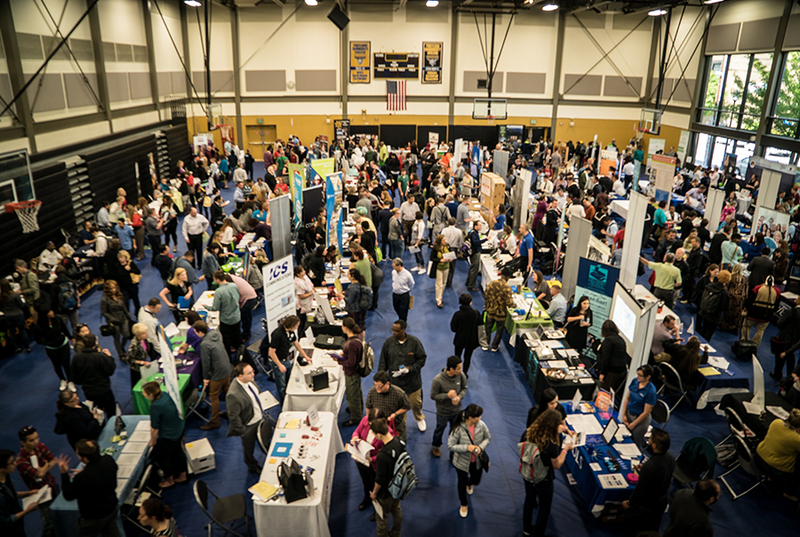 The Cascade Job Fair brings hundreds of local employers together in the same room. The same comments are echoed by the majority of employers who attend the event annually. 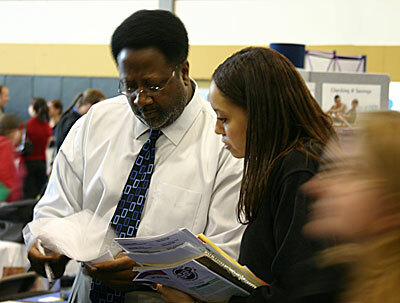 Portland’s premier urban campus invites you to meet over 1,000 job seekers in just 4 hours. Come recruit from one of the most diverse student and community populations in the metro area. Portland Community College offers the most comprehensive training selections of any community college in the state. From accounting to welding technology, students can choose from over 80 career technical fields, two year Applied Associates degree, or transfer degrees to 4 year colleges. Our students emerge prepared to contribute to your organization. Join us at the Cascade Campus for the opportunity to share your organization’s career paths and employment opportunities. Employer space is limited. Discounts are given for early registration and CBO’s, so don’t delay. Extensive advertising of the event in Portland metro newspapers. Event is promoted at all Four PCC Campus locations, Three PCC Workforce Training Centers, PCC satellite locations and PCC Shuttle Busses that run the I-5 corridor. Your company’s name and a link to your web site on the PCC Job Fair web page. Day-of fair program with your company’s name and table location at the fair (if registration is received before 4/1/19) . A list of current positions with your company’s name will be posted at the fair. One 6′ table with table cloth and two chairs. Free wireless access, for employers, in gymnasium during the event. Two lunch tickets included (there is a fee for additional lunch tickets). Assistance with loading and unloading equipment. Shuttle van from employer parking lot to job fair event location. Limited number of electrical outlets available. If you register and pay before December 17th, 2018 the fee is just $400. After this date pay regular fee of $450 due upon receipt of invoice. Government Agency rate is $300 and Non-profit community based organization rate is $200 as long as registration and payment are received by December 17th 2018. After December 17th, 2018 the fee increases by $50.